The ANOC General Assembly is due to be held on November 28 and 29 in the Japanese capital, 20 months before the the Olympic Games takes place there. This represents a tweaking of the tradition to host the meeting - attended by representatives from every National Olympic Committee (NOC) in the world - in the impending Olympic host city in the year of the Games. This precedent was abandoned in 2015 when Rio de Janeiro relinquished hosting rights for the 2016 edition as they were under too much pressure to complete Olympic preparations in time. It has now been decided that it is easier to go to Tokyo a year in advance. ANOC officials met with representatives from the Japanese Olympic Committee and other parties involved to discuss logistical and operational areas including accommodation, transportation, programme and scheduling, financial conditions, visa and airport authorities, media and communications and branding and signage. "We are pleased with the meetings we have had here in Tokyo and the progress that has been made," said Lindberg afterwards. 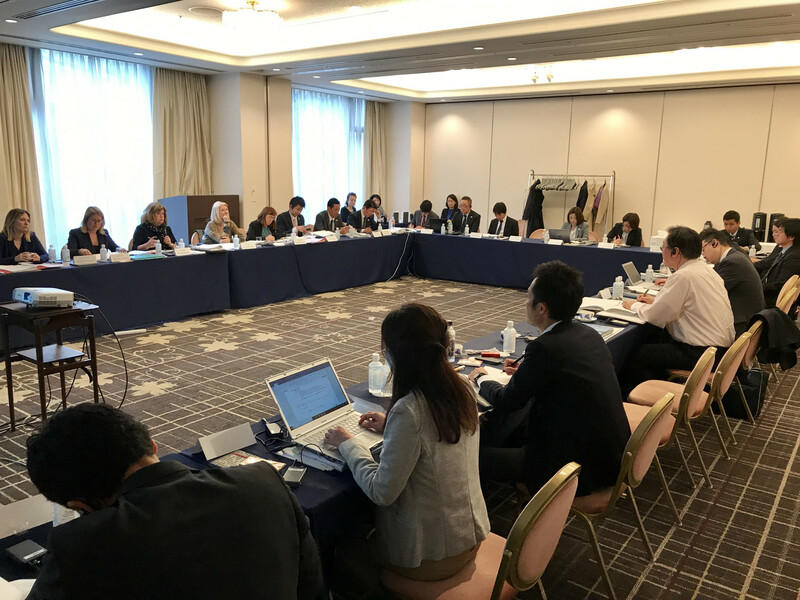 "We have a lot of work left to do but we are confident that Tokyo and the JOC will be excellent hosts and deliver a fantastic General Assembly and ANOC Awards. "Tokyo and Japan are known for their excellent hosting ability and welcoming hospitality and I am sure the world's NOCs will enjoy their stay here in November." The ANOC Awards are due to take place for a fifth time on November 28. Austrian skier Marcel Hirscher and South African swimmer Chad le Clos were among winners in Prague last year. The only NOC expected to be barred from this year's meeting is Kuwait, which remains suspended, although the country should still be represented by figures including the ANOC President Sheikh Ahmad Al-Fahad Al-Sabah. He will face re-election at the meeting, but is unlikely to be opposed. Russia are expected to be free to participate after the International Olympic Committee lifted their doping-induced suspension three days after the Closing Ceremony of the Winter Olympic Games in Pyeongchang in February. Doping has dominated recent agendas at ANOC General Assemblies, with the 2016 edition in Doha overshadowed by a heated debate in which delegates lambasted World Anti-Doping Agency President Sir Craig Reedie for their handling of the Russian scandal and other issues.